Add some brightness and freshness into your living room or bedroom with India made kantha throw pillow case. 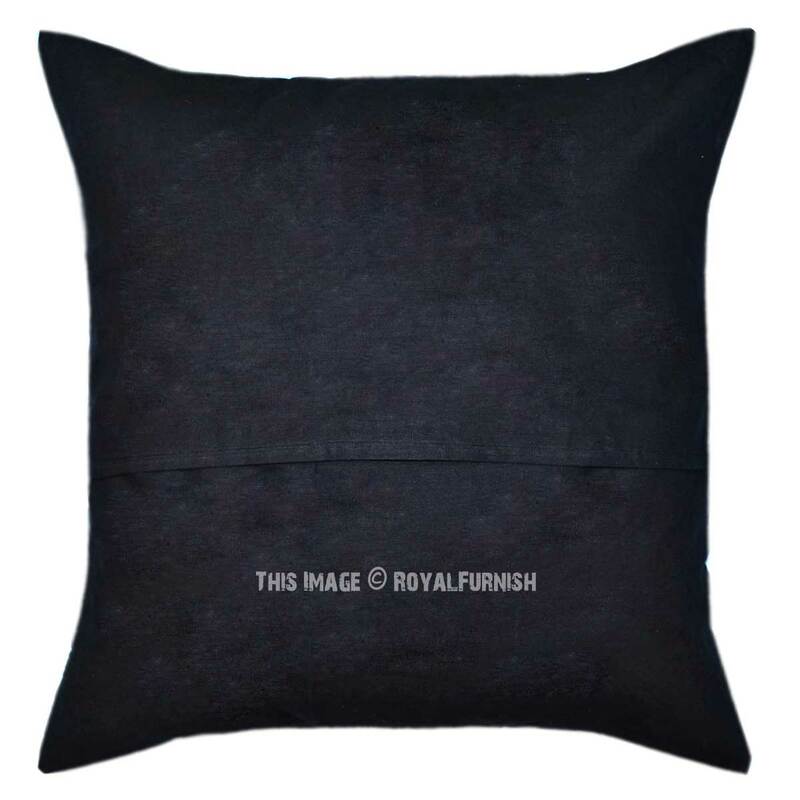 The soft and lustrous kantha pillow is made using 100% fine quality cotton fabric. 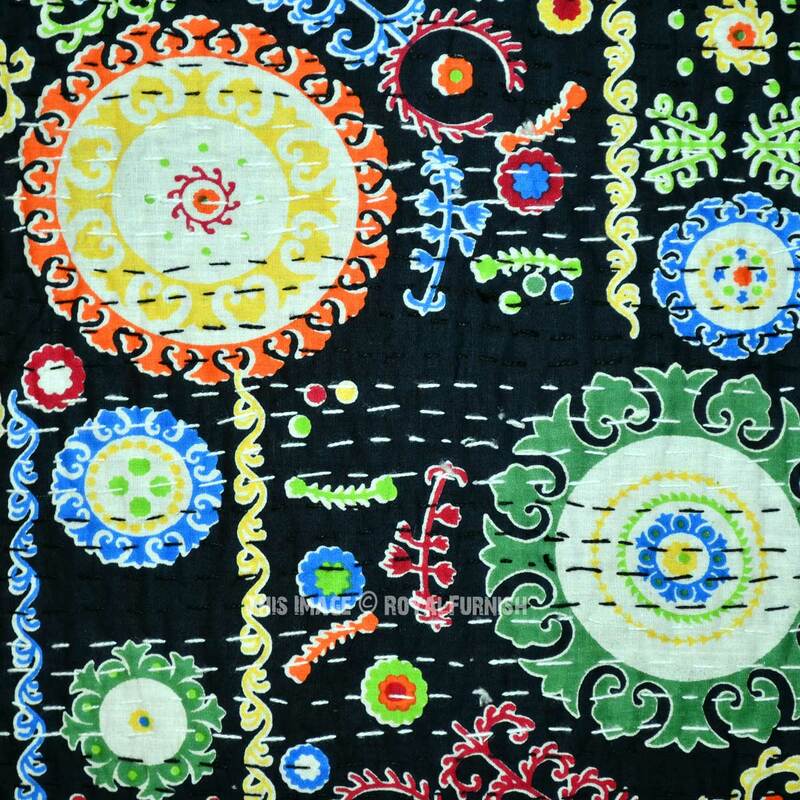 Kantha is traditional art work used in rural area of India. 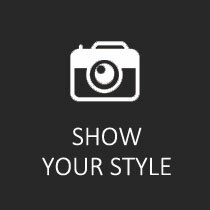 It will add instant fun into the room with its vivid presence. 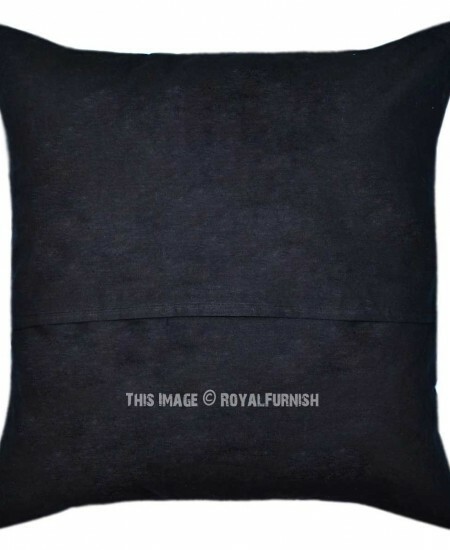 This cushion ensures a long-lasting use and the zipper behind the cover makes you put in a cushion easily. 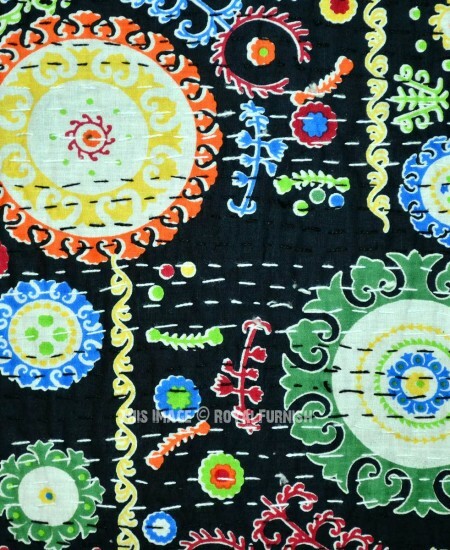 20X20 Black Multi Medallion Circle Cotton Kantha Throw Pillow Case added to the cart!